In viewing the great works of sacred Western art, many people find difficulty in understanding the stories and identifying the figures portrayed in them. This informative guide decodes these often-mysterious scenes and reveals a vibrant world of images from the Christian tradition for museum visitors, students, and art enthusiasts alike. 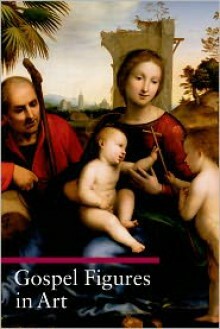 Gospel Figures in Art examines depictions of stories and figures from both the New Testament's canonical gospels (the books of Matthew, Mark, Luke, and John) and the apocryphal gospels (early Christian writings excluded from the New Testament because of their unsubstantiated authorship), which served as rich sources of inspiration for medieval and Renaissance artists. Illustrated with masterpieces from many of the world's premier museums, the art works provided as visual references are carefully analyzed. Sections are devoted to the principal figures in the life of Jesus Christ-his family and the evangelists-and to the major biographical turning points: his birth and baptism, his public life, the miracles and good deeds he performed, his crucifixion, resurrection, and the events that followed. This indispensable resource makes the icons and narratives of sacred art come to life.